Those who follow this blog know that I am an avid figure skating fan and try to attend as many live events that I can (budget and time permitting). I try to see at least one live competition a year ever since I went to Boston in 2016 to see the World Championships. Seeing skating live is much different than on TV, not only are the costumes more sparkly in person but I get a different appreciation for the skaters’ speed and ice coverage. The energy is much different at a live event, too that you can’t get by watching on TV or Youtube. There are also opportunities to meet the skaters and other fans, which is fun! 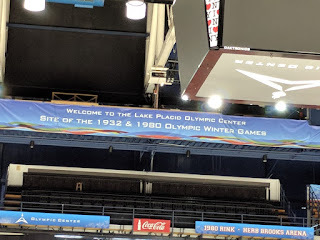 This year, I made the 250 plus mile trek (and I do mean trek) to snowy Lake Placid to attend Skate America, which is part of the six event Grand Prix series that occurs every fall. Top tier skaters from around the globe compete twice for a place in the Final, which takes place in Nagoya, Japan December 7-10. Only six are selected from each discipline (Ladies, Men, Dance and Pairs) to compete based on their results from the six events. Skate America is usually held in mid-October but it was changed this year to Thanksgiving weekend presumably for NBC sports to promote the Olympics, where figure skating is a usually a top audience draw. With the Olympics happening in less than two months’ time, I will give my impressions how this event may impact who gets selected for Team USA. The team announcements will be made the first week of January, following US Nationals in San Jose, CA. Ladies: The US has three ladies’ spots for the Olympic team. At this event were two of the top contenders, current US Champion Karen Chen and veteran Ashley Wagner who won a silver medal at Worlds in 2016 and has three US titles. Both Chen and Wagner had a challenging competition here with Chen suffering a hard fall during her “On Golden Pond” short program and Wagner withdrawing from the competition mid-skate during her “Moulin Rouge” program due to an ankle injury. The big story at Skate America was Bradie Tennell, who was not on the radar as a serious contender for the team until this event. Tennell had two clean programs and scored over 200 points overall, securing a bronze medal behind the gold and silver medalists from Japan, Satoko Miyahara and Kaori Sakamoto. Tennell is one of the few American women with a stellar jump technique and has been consistently landing them in smaller competitions. Many had not heard of her before this event, but now she is a one to watch to contend for the US title. Other contenders to make the team are Mirai Nagasu, who was 4th in the 2010 Olympics and now has a triple axel in her arsenal of jumps and Mariah Bell, last year's bronze medalist at Nationals. Men: Another headlining story at Skate America were the gold and silver medalists: current US Champion Nathan Chen (no relation to Karen) and Adam Rippon, who had the title in 2016. Chen is the one you will be seeing all over the Olympic commercials (he has endorsements with Coke and Bridgestone Tires, among others) and has made a name for himself the past couple of seasons as one of the few US men to consistently land difficult quadruple jumps to compete internationally. Some are predicting he could win gold at the Olympics! I expect to see Chen and Rippon (who also share the same coach, Rafael Aryutunyan) on the Olympic team. The third spot is up in the air now, but my bet is on fan favorite Jason Brown, who did not compete at this event. 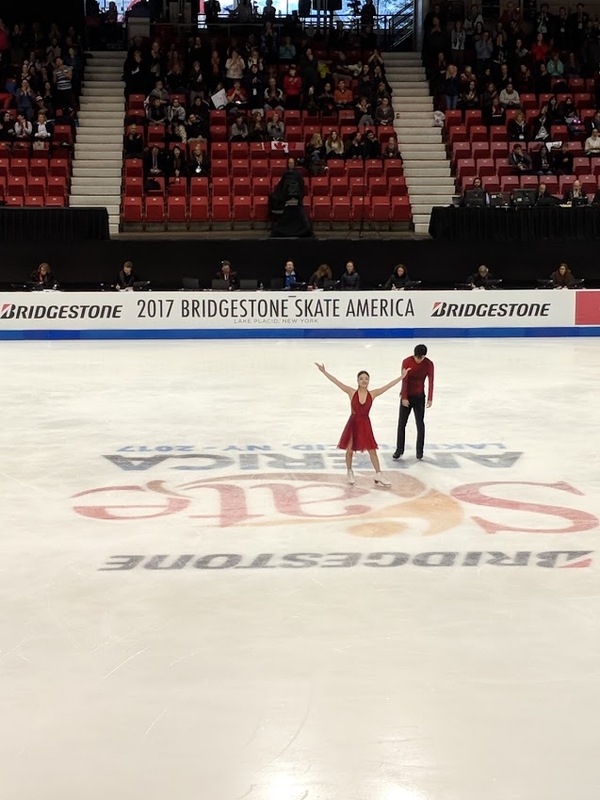 Chen and Rippon also qualified for the Grand Prix Final here, which can help solidify their campaigns to represent USA in PyeongChang. (By the way, I was lucky enough to meet Rippon after the men’s free at a local restaurant and congratulate him on his performance). ETA 12.1.17: Jason Brown will also be going to the final, with the withdrawal of China's Boyang Jin. This is the first time there have been three US men in a Grand Prix Final since 2009! Dance: Two time and current US Champions, siblings Maia and Alex Shibutani won the gold here, surprising nobody. They got well deserved personal best scores for their Latin themed short dance and their free dance to Coldplay’s “Paradise.” The Shibutanis will be named to the US team, along with Madison Chock and Evan Bates and Madison Hubbell and Zach Donohue, who did not compete here. All three of these teams will be in the Grand Prix Final. Two up and coming US dance teams, Kaitlyn Hawayek and Jean-Luc Baker and the Parsons siblings (Rachel and Michael) placed 5th and 9th here, respectively. Pairs: The US only has one spot on the Olympic team for pairs, which will most likely go to married pair team Alexa and Chris Knierim. They were US champions in 2015 but were out for most of last season due to a serious illness that sidelined Alexa for months. They have great elements such as their triple twist and throw jumps but struggle on side by side jumps, which left them in 5th place here, among stiff competition from the top teams from Germany, China, Canada and Russia. Still, they are the most polished of the US pairs and will be selected over teammates Haven Denney and Brandon Frazier (who won the 2017 title in the Knierim’s absence) and Deanna Stellato and Nate Bartholomay, who placed 7th and 8th here, respectively. 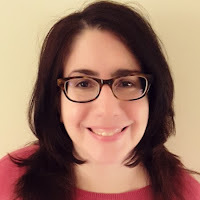 If you’re still reading this (lol), I hope you enjoyed my analysis of the US skaters at this event and watch them compete in PyeongChang in February. I also plan to travel to San Jose for the senior level events and will be sure to blog my impressions!